Even prior to the 1950’s, hepatitis transmissions were associated with diabetic treatments, transfusions, syringes, lancets, and the use of multi-dose vials. It’s taken decades for the CDC (and WHO) to get the message out but in the United States, the CDC’s One and Only One campaign is in full swing. We owe it those who have died and will die from blood-borne pathogens from well-meaning invasive medical procedures, as simple as a diabetic pen, to get this information out. If you watch this training video or read the transcript designed for health care providers you will learn how this massive PAST harm was entirely preventable. We can see in the map below that bacterial injections are also a major concern but HCV seems to be the major focus of the presentation. The CDC does not include the Minot (ND) HCV outbreak among 51 patients and others where the cause is still being investigated. 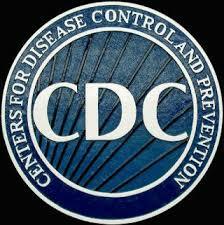 Nor does it include the CDC report on the jet injector transmission of HBV (MMWR June 13, 1986 / 35(23);373-6). Other highlights in the 20-minute training. At about 5 minutes: Contaminated equipment info. At about 6:13: Viral hepatitis from unsafe injection practices. At about 7:20 minutes: Drug diversion and HCV. Exeter, NH case which we’ve covered on ASKNOD, is discussed. At about 11 minutes, safer delivery designs are discussed; about 12 minutes, blood back flow into multi-vials/ HCV contamination animation. At conclusion, footnotes are given. The training was published on YouTube in Dec. 2012 but has been viewed by under 9,000 people. As mentioned, the use of multi-dose vials on jet injectors are not addressed but the concept is the same. I predict that it will take private non-governmental funding to study the jet injectors which were in widespread use in the United States until our government withdrew their use after they recognized their threat to human health. 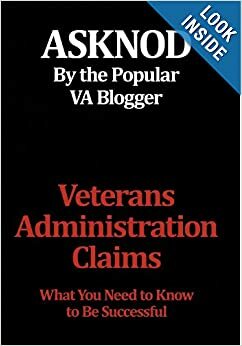 This entry was posted in Guest authors, HCV Health, HCV Risks (documented), Medical News, Vietnam Disease Issues and tagged ASKNOD BOOK, asknod.org, asknod@wordpress.com, Disabled Veteran, Gulf War Claims Help, Gulf War Vets Help, HCV, HCV Decisions, HCV Health Tips, HCV Veterans, HCVETS, Help with vA Claims, Help with vA HCV Claims., Helping Veterans, Korean War Vets Help, Service Connection, VA claims, vA claims for PCT, VA HCV Claims Help, Veterans Benefits, Veterans claims help, Vietnam Veterans Claims Help.. Bookmark the permalink. My husband was denied service connection for HCV due to being born between 1945-1965 which is obviously the baby boomer birth cohort and accordingly, the large % of Vietnam Veterans. The C&P Doctor and the DRO sided with his opine of the birth cohort of 1945=1965. Even though his gastroenterologist of over 17 years stated that they felt it was a result of his service inoculations. 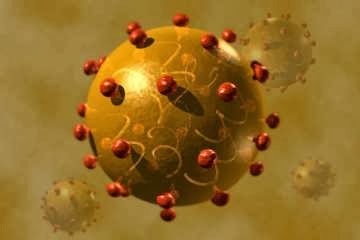 Additionally, we submitted the June 13, 1986 / 35(23);373-6 on hepatitis B transmission; however, they did not give it any weight as it said Hep B instead of Hep C. Foolish, I know as Hep B and Hep C are both blood to blood pathogen transmitted and seemingly one can see the connection. Has anyone else encountered this “reasoning” for denial and if so, who is a good attorney?